Soumaya Phéline a.k.a. Soumaya Dance Machine has been bringing a breath of fresh air to Belgium since 2006. She's always on the edge, combining feminity and a keen sense of groove and energy. 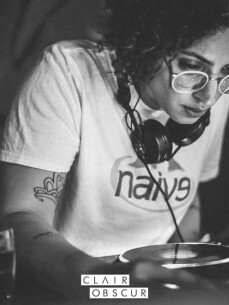 Known for her unique style and fancy footwork ranging from House to Techno, she handles a dance floor like no one else, with warm basslines and mesmerizing melodies until the early dawn.